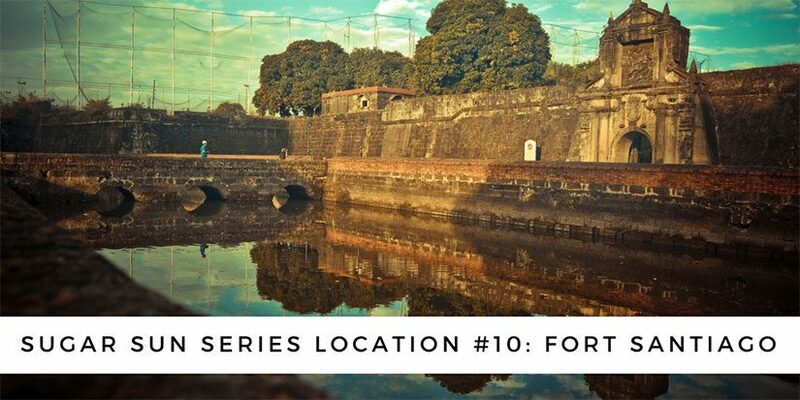 Georgina looked up at Fort Santiago, the stone embodiment of Spanish paranoia that capped the fortress city of old Manila. 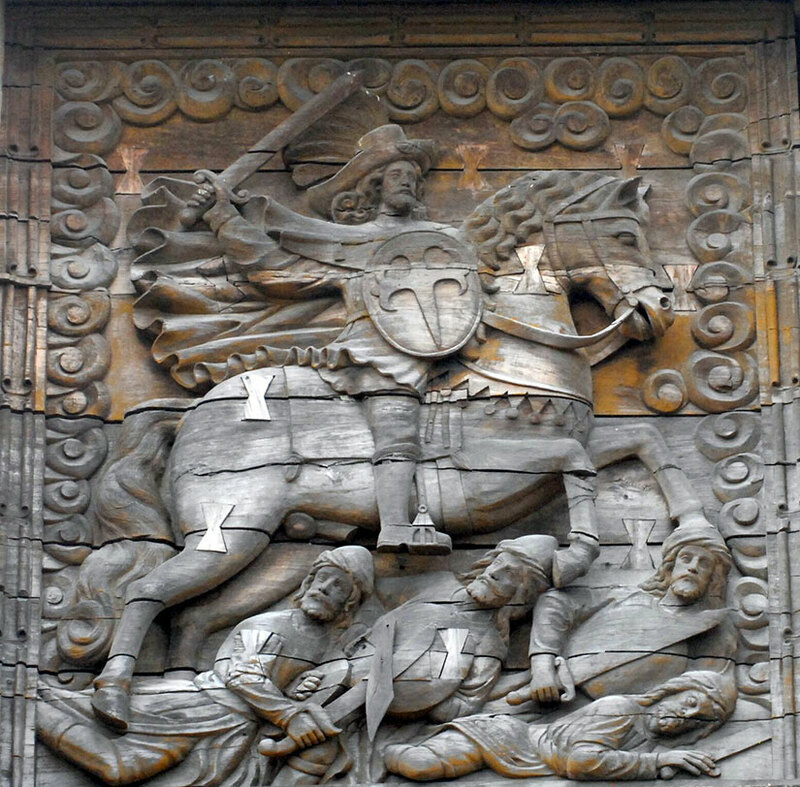 A bas-relief of Saint James the Moor-Slayer stood guard over the gate. Not the most observant Catholic, Georgie liked the thought of Iberian explorers braving the long, lonely journey across the Pacific only to find themselves back where they started: fighting Muslims. 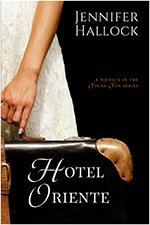 Judging by the number of churches they left behind, conversion had been a spiritual test they had met with gusto. Saint James the Moorslayer, a close up of the main gate to Fort Santiago. Creative Commons photo by John Tewell. 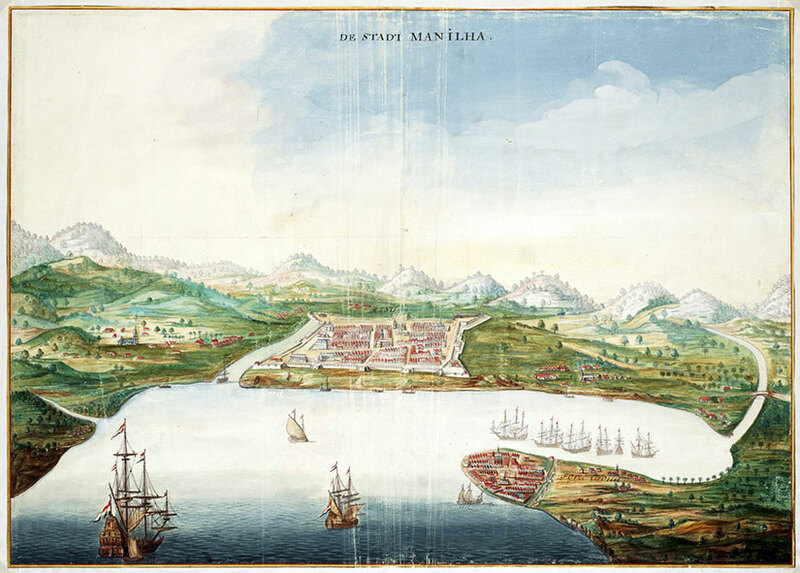 A bird’s eye view of Manila by Johannes Vingboons, painted in 1665. 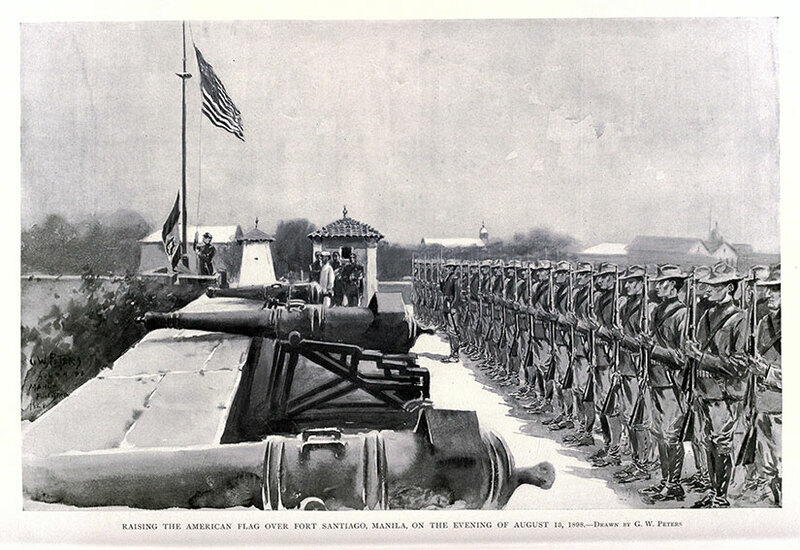 Raising the American flag over Fort Santiago, Manila, on the evening of August 13, 1898. From Harper’s Pictorial History of the War with Spain, Vol. 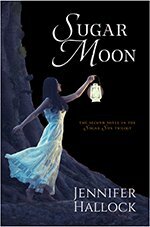 II, published by Harper and Brothers in 1899. 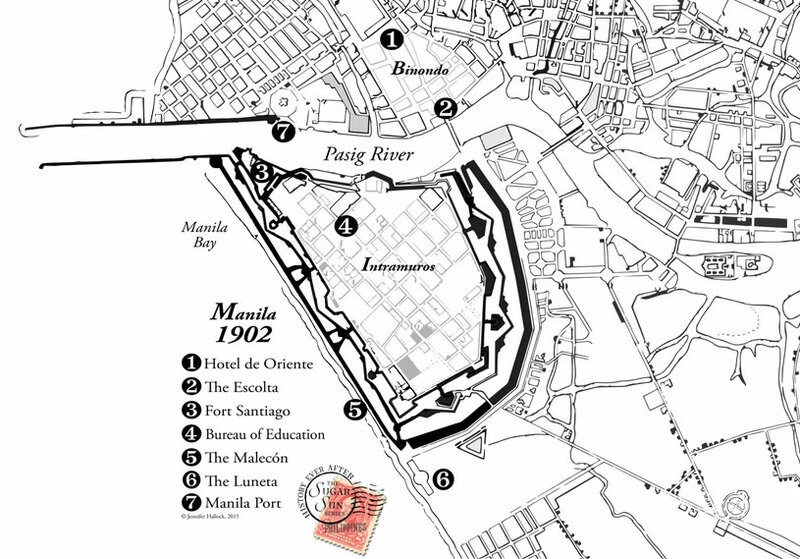 Through the eighteenth and nineteenth centuries, Manila grew into a thriving commercial and cosmopolitan center. 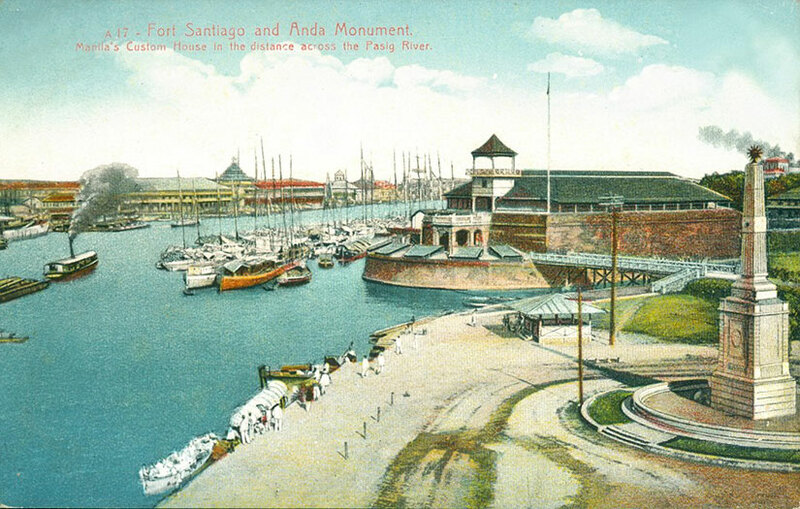 Every vessel that entered the city—from local casco to Manila galleon—had to sail past the intimidating cannons of Fort Santiago to reach the docks on the north side of the river. Walls of the old city of Manila. 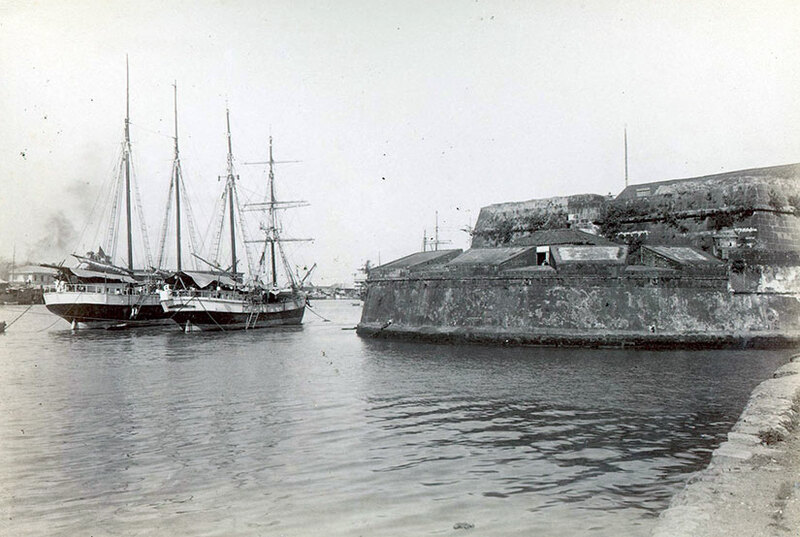 Fort Santiago with gorletas anchored in front of it, 1898. Photo from the Philippine Photographs Digital Archive. 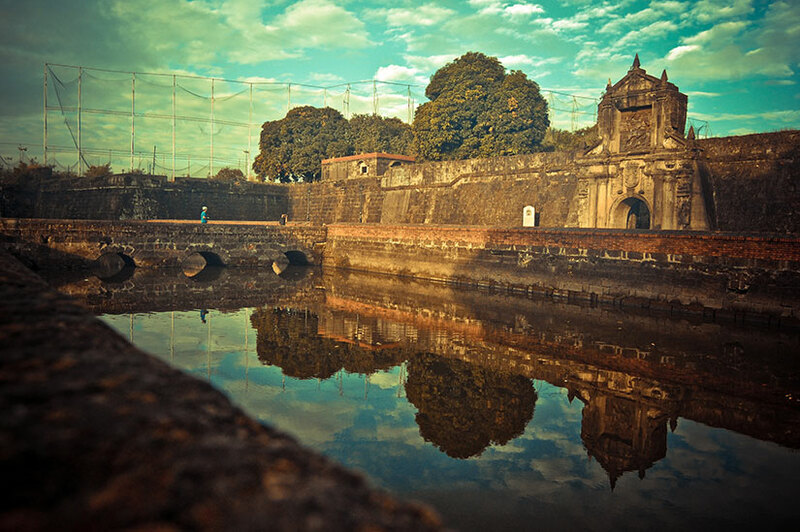 Importantly for Filipino history, Fort Santiago is also where national hero José Rizal spent his last days. In his spare time, this polyglot ophthalmologist authored the seminal work of Philippine fiction, Noli Me Tangere (Touch Me Not). 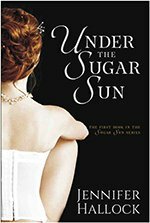 The Noli blasts the corruption of the Spanish friars who ruled the countryside and reveals how young, intelligent Filipinos (like Rizal) were denied human and political rights. Since Rizal was executed for writing a work of fiction, the Spanish ironically proved his claims true. National hero José Rizal was held by the Spanish at Fort Santiago until his execution at the Luneta in 1896, sparking the Philippine Revolution. Images from left to right: the entrance to Rizal’s prison, as photographed by Barbara Jane; a common portrait of Rizal; and the map from the Presidential Library and Museum. Where faith does not kill and where God alone does reign. 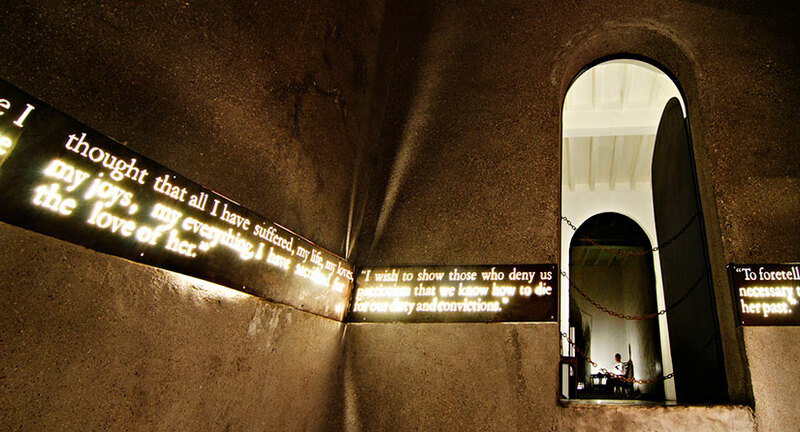 Jose Rizal wrote his farewell letter, Mi Ultimo Adios, while being held in a prison cell in Fort Santiago. Now the cell has been converted as the Rizal Shrine where a life-size diorama of his last hours is depicted before his execution. Creative Commons photo by Christian Sangoyo. Scratch a stone in Manila and you’ll dig up all kinds of interesting history, right? By the way, the Creative Commons image below is by Fechi Fajardo. If you’re wondering what that net is, it’s a practice driving range for the Intramuros golf course! Oh, what would Rizal think?